Happy Saturday, Modern Philosophers. Hope your morning has gotten off to a better start than mine, as my day has been rather sad and tear filled. It’s never good to cry in a toga because the thing is a giant handkerchief and the temptation is overwhelming to just wipe my eyes on it and then blow my nose. Today is the birthday of The Girl Who Lights The Candle Of My Heart, and I’m missing her much more than I expected. I found it odd that when it hit midnight here and it was her birthday in Maine, she was in a place where her big day was still an hour away. Damn confusing those time zones! I usually need to jump start my brain on Saturdays because I’m so sleepy and can’t seem to get the Dreamland fog to lift. 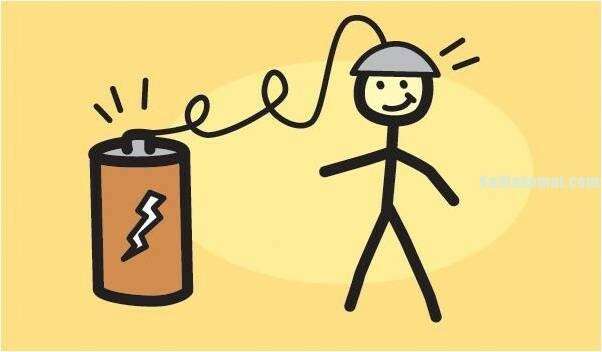 Today, however, I need to hook up my brain to that giant battery for another reason…I’ve got to zap myself out of this funk. Why is The Birthday Song so lame? It’s basically the same four lines and an “insert the name here” option. Couldn’t they come up with something more exciting? Shouldn’t the song celebrate life? Shouldn’t it get our toes tapping and make us want to sing along? Why do we even sing it? It sounds more like a funeral dirge than a celebration of life. Why do we put candles on the birthday cake? Is it to remind us how old the guest of honor is? Is it there to jog the memory of the person receiving the cake? Is this some sort of Amish tradition? 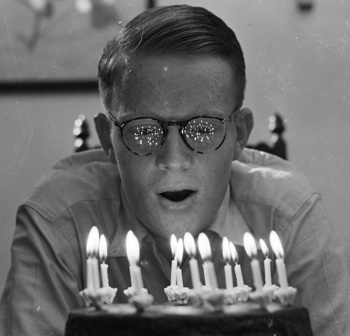 Did birthday parties used to occur only during blackouts or in fallout shelters? Should there ever be multiple open flames at any party? And why the heck do we blow out the candles? Don’t the candles symbolize life? Doesn’t snuffing them out seem to mean we are wishing for death? Wouldn’t it be more appropriate to cut the cake, stick a candle in each piece, and then light it to celebrate another year of life for the guest of honor? 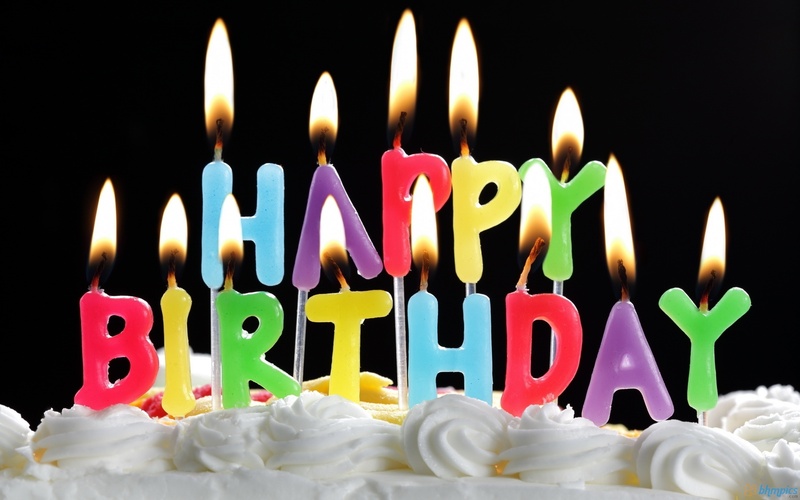 Why do we even celebrate birthdays after a certain age? I get it when we’re younger: thank Zeus that scrawny, crying, diaper soiling little thing survived another year. Now I’m old enough to go to school. Now I’m a double digit midget. Now I’m a teen. Now I’m old enough to drive. Old enough to vote. Old enough to drink (legally). After 21, aren’t all birthdays just a sad reminder that we’re getting older and moving closer to death? Don’t birthdays become this ominous reminder that the end is a little closer? Do we celebrate birthdays to sadistically remind the others in the herd that they are a little weaker and a little more frail and we intend to put them out to pasture soon enough? Boy, this really has given me something to think about this morning! I still miss The Girl Who Makes My Heart Glow, but now I’m thinking I need to go out for a run to keep my rapidly decaying body in the best shape possible. Will I even make it to my next birthday? So many awful things could happen. What if the Fates decide to blow out my candle permanently??? Don’t worry, Modern Philosophers, those last two paragraphs of panic were pure fiction written to lighten the mood. I’m not worried. I’m actually craving cake. Hope this post has assisted you in getting your brain primed and ready to purr on this September Saturday. I’m sure I’ll be back later with something silly to put a smile on your face and a few Deep Thoughts into your head. This entry was posted in Humor, Love, Philosophy and tagged birthday cake, birthday wishes, birthdays, Broken Heart, Deep Thoughts, Humor, jump start, missing you, Modern Philosopher, satire. Bookmark the permalink. Aww, you’re all loved up! Now pass us some cake. When you’re 3 years old, “Happy birthday to you” over and over with “insert name here” is about all you can handle. If you’re not a professional singer, there’s safety in numbers when you’re singing it–and you don’t have to worry about forgetting the words. I believe that after you’re 21 the tradition should be to change the words to, “You’re alive one more year, that gives us much cheer, we’re happy you’re with us, now have one more beer.” Or something like that. For most people, that song is the last hurdle to the moist chocolate cake with buttercream icing laying on the table ready to eat. I’ll sing for chocolate. Happy birthday to your sweetheart! Why the candles? Not sure. Why the cake? Why not? The birthday song is lame so we will remember the words when we get old. We blow out the candles so we can take them off and don’t have to eat them. Sounds simple, but I’m not sure if that’s enough for me.